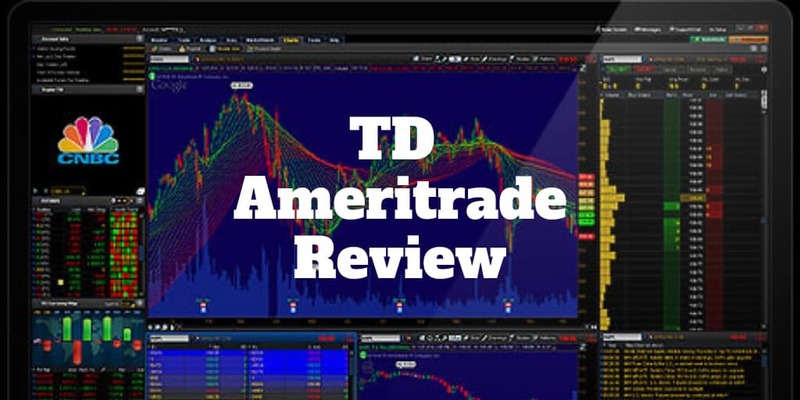 TD Ameritrade combines excellent research and superb trading platforms, thinkorswim and Trade Architect, with stellar customer support. For an all-round discount broker, TD Ameritrade more than fits the bill. many peers is accompanied by slightly higher commissions than some discount brokers but for traders seeking support on-demand, an extensive suite of trading tools, and access to cutting-edge research and education, TD Ameritrade offers tremendous value. TD Ameritrade serves a wide breadth of customers from beginners in need of hand-holding who can take advantage of 24/7 phone and email support to advanced traders who will discover a highly powerful trading platform on its flagship thinkorswim platform. atform that will not intimidate beginner traders in Trade Architect and a highly customizable platform targeting experienced traders with thinkorswim. Experienced investors and options traders will find TD Ameritrade’s thinkorswim platform more than meets their needs for screening, chart studies, back-testing and customizable searches. Whether trading stocks, options, bonds, futures, forex, mutual funds or ETFs, TD Ameritrade has it all, earning top marks as a one-stop discount broker. For self-directed traders who like to perform their own due diligence, TD Ameritrade competes well on costs with rivals Fidelity, Charles Schwab and ETrade. TD Ameritrade offers tiered cash rewards as high as $600 for deposits. TD Ameritrade has many more pros than cons. In fact, as a one-stop discount broker solution, it’s hard to beat when comparing to industry rivals. ✅ Customer Support: 24/7 Phone and Email support is available at TD Ameritrade, ensuring customer satisfaction is prioritized. ❌ Commission Costs: 24/7 phone and email Support, powerful trading platforms, and extensive research and educational resources don’t come cheap and TD Ameritrade charges commissions that rival the more expensive discount brokers. Fidelity, ETrade and Charles Schwab are perhaps TD Ameritrade’s closest peer group rivals and TD Ameritrade’s high margin costs position it among the most expensive in the grouping. Mutual Fund transaction costs are also high at $49.99 though almost 4,000 no-transaction-fee mutual funds are available. ✅ Real-time Data: TD Ameritrade’s quote bar streams real-time quotes across its site, a feature unavailable at major competitors, such as ETrade, Charles Schwab and Fidelity. On its thinkorswim platform, when run as a desktop application, numerous charts can stream real-time data and over 300 studies are available which stands head and shoulders above peers, other than perhaps TradeStation. Options data also is available to stream in real-time. ❌ Fees: Beware the temptation of buying and selling a no-commission ETF within 30 days. TD Ameritrade will charge $19.99 if the ETF is not held for at least 30 days. ✅ Extensive Research: Up to eight third-party research reports are available for companies. TD Ameritrade uses ResearchTeam to provide research, and ResearchTeam combines five reports in one. LikeFolio supplies TD Ameritrade with its Social Signals real-time streaming feed of filtered tweets. ✅ Easy-to-Use, Powerful Trading Platform: Trade Architect was designed to cater to the regular trader while thinkorswim was designed for options traders, experienced and advanced traders. Trade Architect doesn’t have the extensive tools and functionality of thinkorswim but it’s not intended to serve advanced traders as thinkorswim is. Trade Architect is easy-to-use, functionally straightforward with standard tools that cater to casual traders.thinkorswim by contrast is specifically targeted to experienced investors seeking extensive customizable charts, studies, tools, and back-testing. SnapTicket allows for easy placement of stock and options trade orders from any website page. A sidebar called MyDock allows customers display numerous modules. ✅ Mobile Trading: TD Ameritrade Mobile is designed for beginner and less active traders while TD Ameritrade Mobile Trader targets active, experienced traders seeking greater functionality. In-app chat support and Touch ID login are just two of the attractive features, though two mobile apps is a drawback on the user experience given the friction required to download both. TD Ameritrade provides a wide range of tradeable securities catering to casual investors and advanced, active traders. As a full-service broker competing with Charles Schwab and Fidelity, TD Ameritrade compares well with extensive educational resources, 24/7 phone and email support, approximately 100 local branches, platforms that cater to beginners and experienced investors, a wide range of tradeable securities, and no account balance minimums. With so much going for it, TD Ameritrade has higher commissions than some other competitors who have less extensive research, reduced customer support capabilities and fewer tradeable securities. But for those looking for a one-stop, all-round discount broker solution, TD Ameritrade checks most of the boxes.